There are many varieties of Artemisia, also known as mugwort and wormwood plant. One of the most common varieties grown for its sweet-smelling, silvery foliage is sweet wormwood (A. annua) or sweet Annie plant. 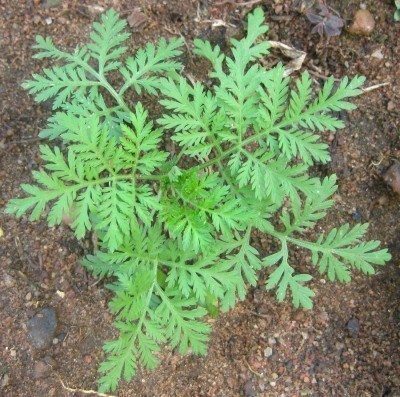 Growing sweet Annie and other wormwood plants is easy. They make interesting additions to nearly any garden as they’re quite adaptable and hardy plants. 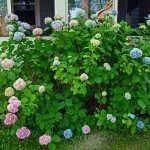 In fact, some varieties are even considered invasive if not kept properly maintained. Let’s look at how to grow wormwood plant in your garden. Grow wormwood or sweet Annie plant in a sunny location and well-drained soil. This plant doesn’t like being overly wet. Wormwood is generally planted in spring. If starting plants from seeds, sow the small seeds in flats and set the seedlings out in the garden well after the last frost in spring. Once established, wormwood plants require little care. In addition to occasional watering, these plants can be fertilized once a year. Light pruning can be performed to help keep these plants from becoming unruly, especially the spreading varieties. Wormwood plants are not typically affected by many disease problems, other than root rot from overly wet soil. Their scented foliage also deters many garden pests. Sweet Annie is typically grown in the garden for its feathery, sweet-smelling foliage and yellow blooms, which are often used in floral decorations and wreaths. Although this variety is considered an annual, sweet Annie generally reseeds itself readily in the garden and in some cases, can become a nuisance. The feathery, fern-like foliage appears in spring and blooms in late summer. As sweet Annie takes up space in the garden, growing to about 2 feet tall, allow plenty of room for it in the garden. Harvest sweet Annie plant just as its blooms begin to appear in late summer for use in floral arrangements or wreaths. When drying sweet Annie, place branches in small bundles and hang upside down in a dark, well-ventilated area for about two to three weeks or until dry. When collecting seeds, cut the foliage to the ground (leave some plants remaining for self-seeding) and place in a paper bag. Allow to dry and then gently shake the seeds loose. 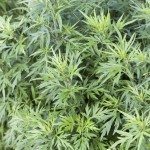 Growing sweet Annie plants, like all other wormwood varieties, is easy. These plants make great additions to many gardens and can even be grown in containers. Their attractive, sweet-smelling foliage provides year-round interest and also deters many common garden pests. Best of all, sweet Annie plants require little maintenance once established. Read more articles about Wormwood.